Once again, I tried hard not to buy any more fabric but I caved. this quilt that has been sitting ready for a while now. I was going to go with brown but it was hard to match the right shade of brown (I came close.) 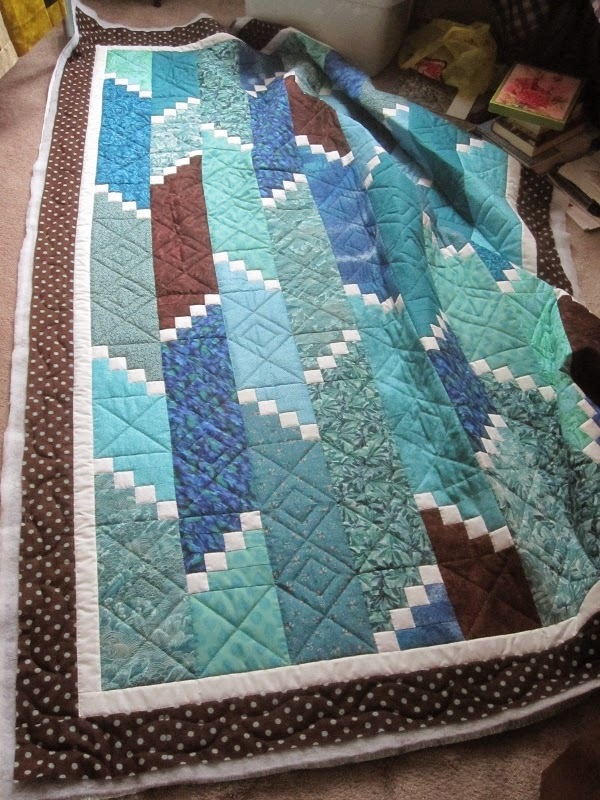 My husband is the one who chose the turquoise when I asked which one I should get to finish off the edge of the quilt. 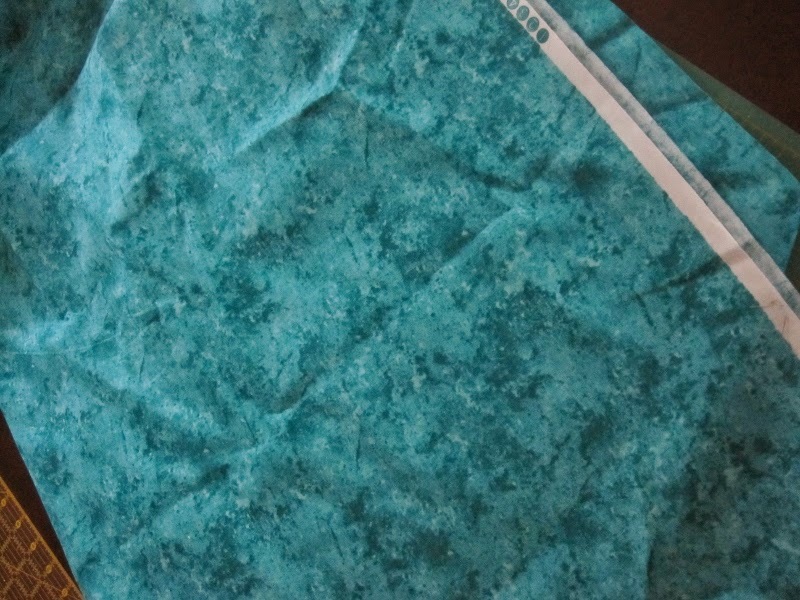 I figured I could pair it up with another fabric like this turquoise tone on tone and make two pillow cases. One can stay here and the other one can be used at Luc's house. I might even trim one in red. Last week at our guild meeting, fat quarters were going for one dollar each and batiks were two dollars. I didn't need any but it was just such a bargain. I really like the purple batik with the little turquoise birds. There's a theme here it seems. Turquoise, my absolutely favourite colour. I have to get back and finish sewing that binding on now. I've got about one quarter done. Well I don't think I could have resisted those either! The pillow cases are a great use for the fabric. I'd say the turquoise is the perfect choice for the binding- I like it better than a brown... and it will be great with the other projects too. Win win!! I think your DH has a good eye and made a great choice. 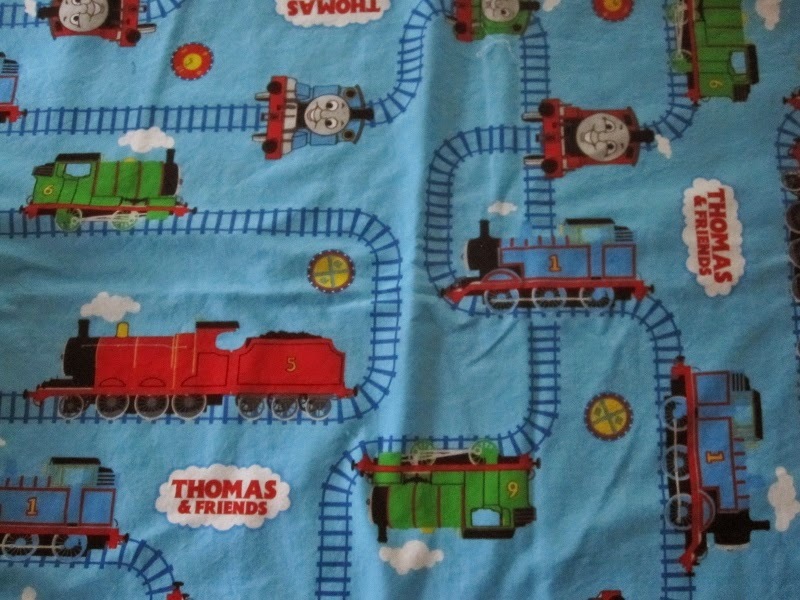 'Thomas' pillowcases - definitely fun. It is hard to resist, but the fabric is really beautiful! 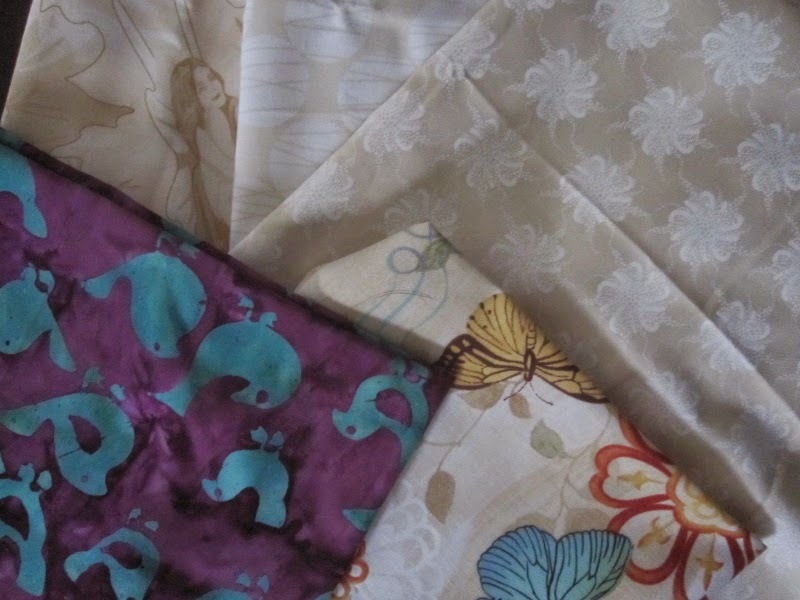 Any reason to buy fabric is a good one, and one dollar for a fat quarter is pretty good. 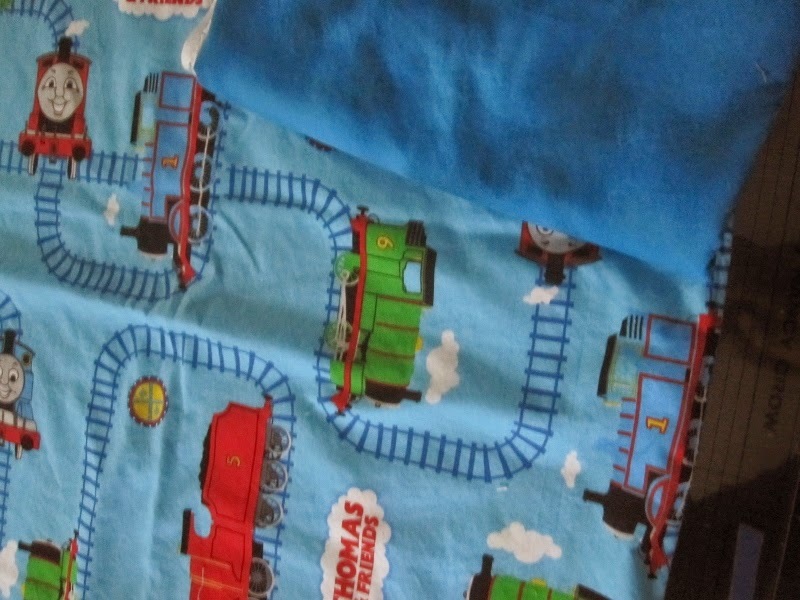 I love the railroad fabric you got for Luc. never resist the urge to buy more fabric!!! More is never enough! LOVE the idea of turquoise binding!! One of my favorite colors too, Dolores. You got some great deals!